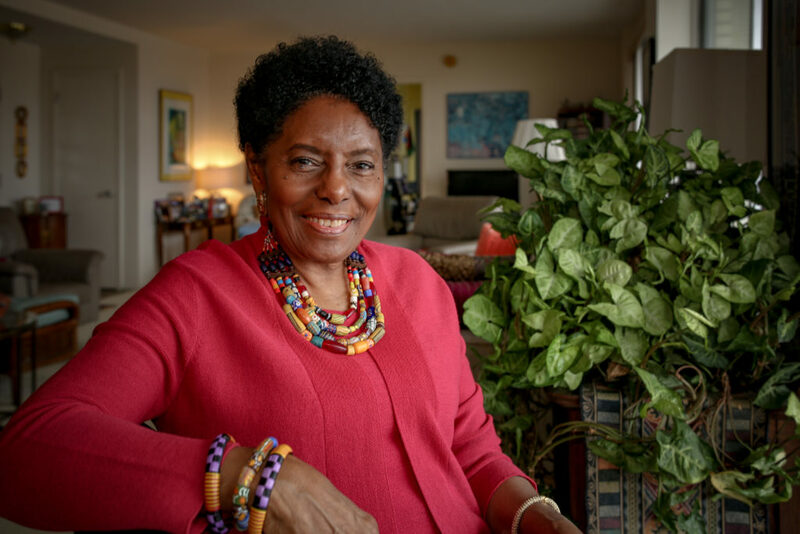 Gloria House credits persistence through the years for her Kresge Foundation honor. Credit: Karen F. Sanders, courtesy The Kresge Foundation. Such insights are in part why House – a University of Michigan alum and UM-Dearborn professor emerita – was selected for the honor, which includes a $50,000 award and an artist monograph highlighting her career. House is the 11th honoree of the Kresge Eminent Artists program, part of The Kresge Foundation, a national private foundation based in Metro Detroit. The award focuses on celebrating and investing in Detroit artists, such as fellow Eminent Artists musician Marcus Belgrave, artist Charles McGee and photographer Bill Rauhauser. To have such a moment break through the everyday activities of writing, revising, grading papers and going to meetings shows how “persistence through the tedium” is essential to a full life, House said. Born in Tampa, Florida, House traveled the world, earned several degrees, joined the Civil Rights movement and moved to Detroit in 1967. She returned to teaching and was a copy editor at the Detroit Free Press before receiving her Ph.D. in American culture/history at U-M.
“Being a part of the American culture program was so important in my life. It was where I not only got rigorous discipline and research opportunities, but I also got a chance to chart my own path, to research questions that had been on my mind for a long time,” said House, who noted how professors such as Rudolf Arnheim, an expert on visual space, was key to her work. After 27 years of teaching at Wayne State University, House joined UM-Dearborn as a visiting and then full professor of African American literature, American culture and research methods in the interdisciplinary studies program. House also designed the university’s major in African American and African Studies. She retired from UM-Dearborn in 2014 and named a professor emerita. Since then, she has been co-editor of Riverwise quarterly magazine, senior editor at Broadside Lotus Press and a volunteer for groups such as We the People of Detroit, which focuses on water, land and education. House has published four poetry collections: Blood River (1983), Rainrituals (1989), Shrines (2003) and Medicine (2017).